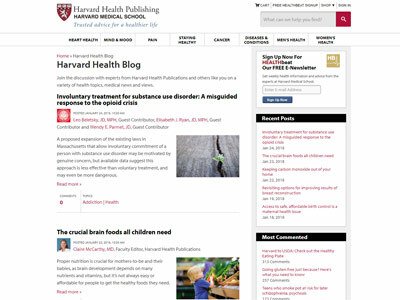 Harvard Health Blog derives from Harvard medical school and helps the readers to stay healthy by providing advice on a full range of medical conditions and preventions. 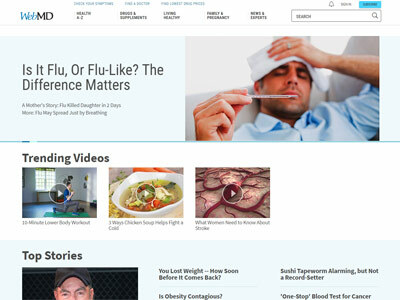 WebMD aims to provide articles and videos that give the audience better information that can improve their lives, they cover topics such as health, fitness, drugs, and supplements. 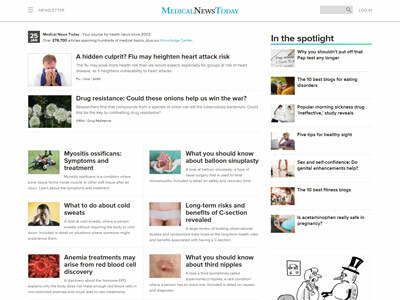 Medical News Today provides real and practical advice to help the readers prevent illness and cure ailments through an abundance of articles on the site. 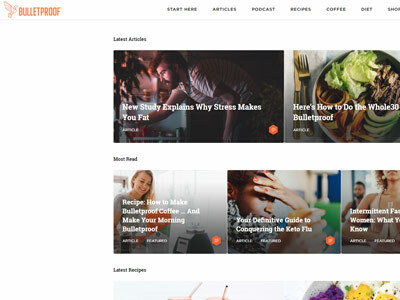 Mind Body Green uses articles and podcasts to share knowledge of mindfulness, food, movement and lifestyle topics. Mercola promotes natural health and fitness with easy to follow articles providing guidance on how to live a happier and healthier lifestyle. 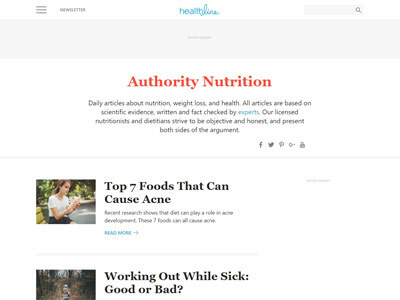 Healthline Nutrition provides daily articles about nutrition, weight loss and health, all based on scientific evidence. 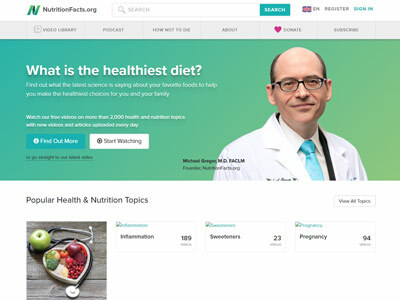 Nutrition Facts helps the readers select a healthier diet on them through a series of articles, videos and podcast episodes, all of the information shared is based on scientific facts. 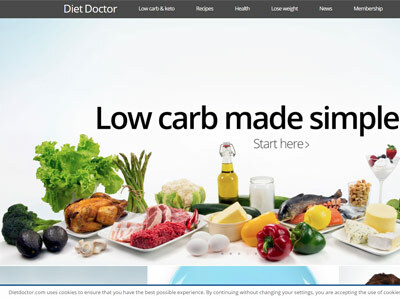 Diet Doctor is designed to provide the reader with information on low carb and keto diets, so that they are informed to lose healthy weight. 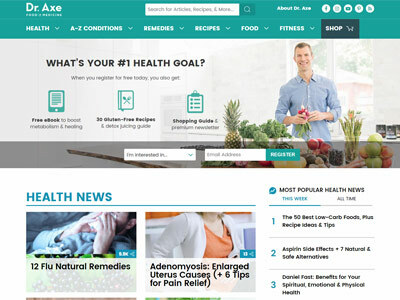 Dr. Axe releases content on a range of topics such as fitness, remedies, low carb diets, and health advice. 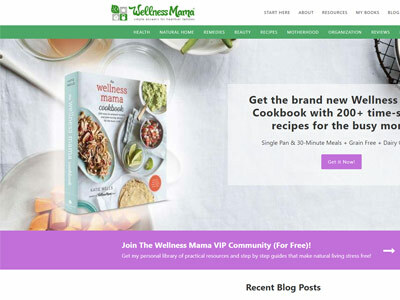 Wellness Mama gives it's audience simple answers to create healthier families whilst discussing health, remedies, recipes, and much more in their articles, books, and podcast episodes. 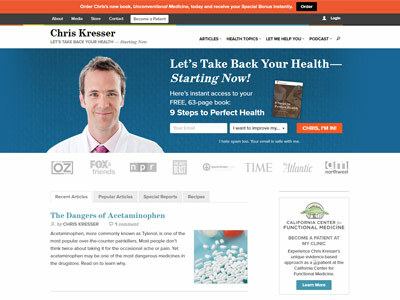 Chris Kresser shares his expertise on a whole host of health and medical topics through articles on the site, he also offers private patient services. 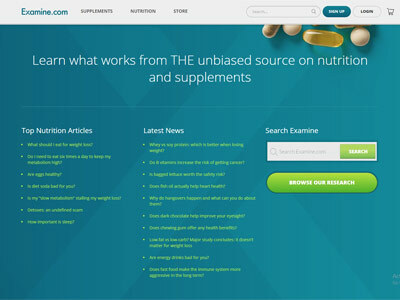 Examine helps it's audience to learn what work with regards to nutrition and supplements, by acting as an unbiased source. Their goal from day one has always been: read the research, make sense of it, and put it online. They're an education company that looks at the research — nothing more, nothing less. 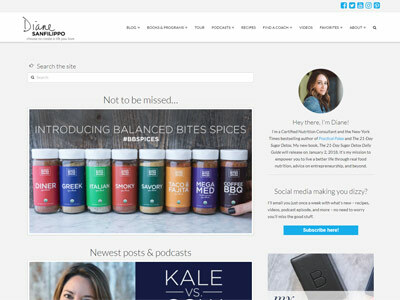 Whilst Bulletproof are known for their coffee, the site covers health, fitness, and workout advice for it's audience. 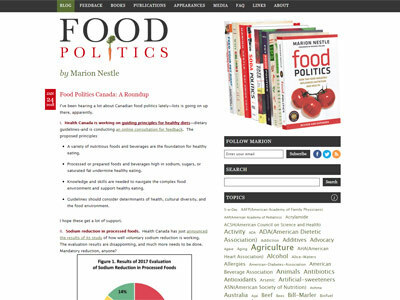 Food Politics is a series of articles and publications focused on news, reviews and developments within the global world of food. 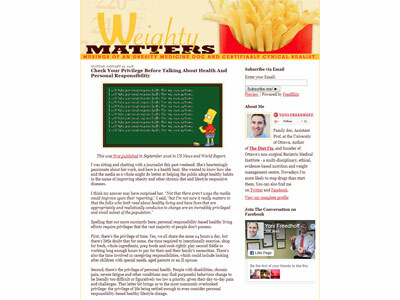 Weighty Matters provides weight management advice, covering topics such as obesity and healthy eating. 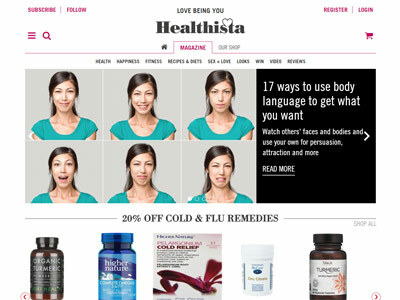 Healthista wants to help their readers love themselves, though articles on topics such as health, fitness, recipes, diets, and more. 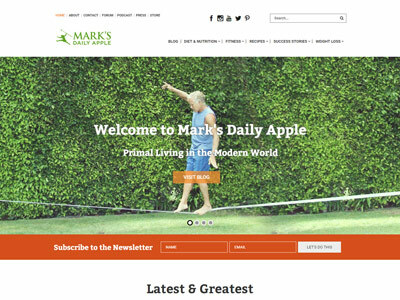 Mark's Daily Apple helps people to understand the fundamentals of living a primal lifestyle, his teachings are shared in articles, a podcast and a community forum where they discuss diet, nutrition, and fitness. Healthy. Happy. Life. 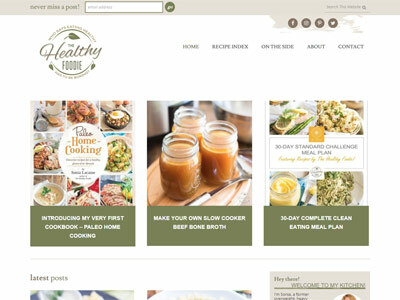 is a site by cookery author Kathy Patalsky, she provides in-depth videos and recipes with are all completely vegan. 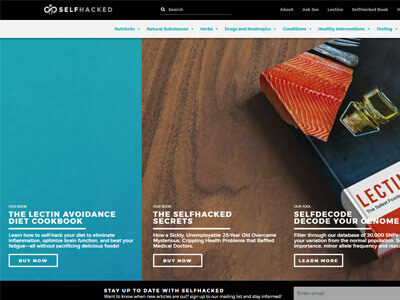 Selfhacked helps it's audience to life healthier lives by discussing nutrition, natural substances, biohacking science, and a range of conditions and the foods to avoid. 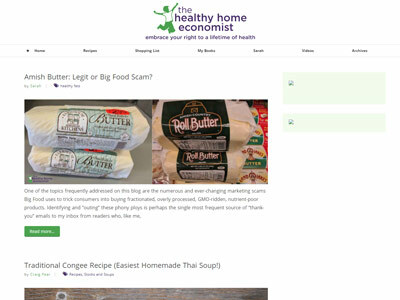 The Healthy Home Economist wants to help it's reader to embrace a healthier lifestyle with articles and books covering traditional diets and holistic health. The Healthy Foodie has set out to prove that eating healthily doesn't have to be boring by providing fun and nutritious recipes. 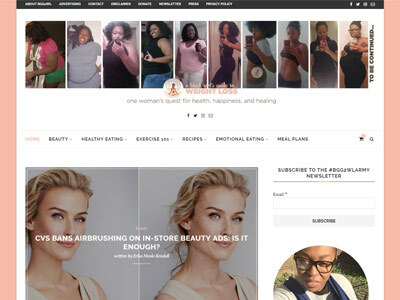 Black Girl's Guide to Weight Loss covers one woman's quest for health, happiness, and healing, whilst inspiring others. 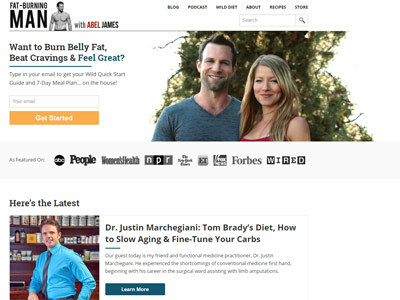 Fat Burning Man is a blog and podcast designed to share methods of burning fat and building muscle, essentially highlighting their 'wild diet' programme. 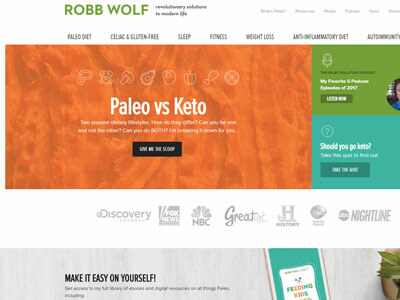 Robb Wolf uses his podcast to provide revolutionary solutions to modern life, covering topics such as fitness, weight loss, and various diet reviews. 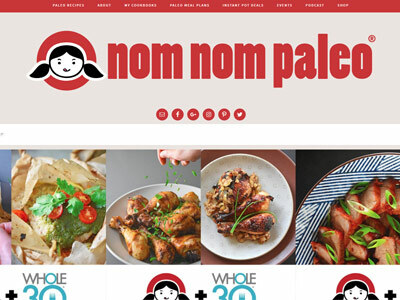 Nom Nom Paleo is a resource of recipes, meal plans and cookbooks all related to the paleo diet. 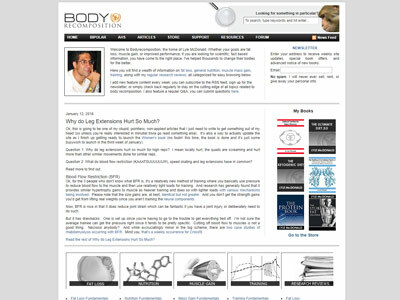 The information is shared through a series of articles and podcast episodes. 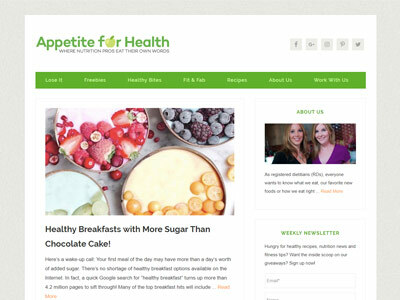 Apetite for Health is run by a pair of nutritionists who aim to help people lose weight, eat better and live healthier lives. Eating Bird food covers workouts but mainly the creation of new recipes, it is designed to help the audience live happier and healthier lives. 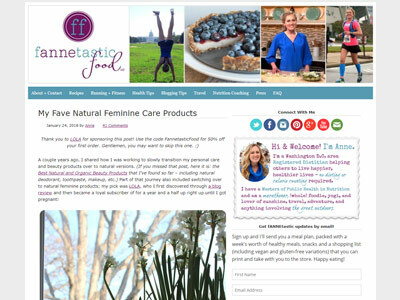 Fannetastic Food helps inspire others to lead happier, healthier live by understanding that being healthy doesn't have to be complicated, or indeed dull. 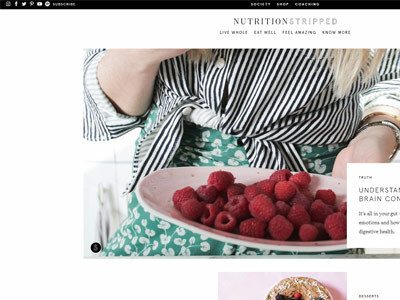 Nutrition Stripped makes it simple for the readers to live a whole life, eat well and feel amazing in the process, through informative articles on the site. 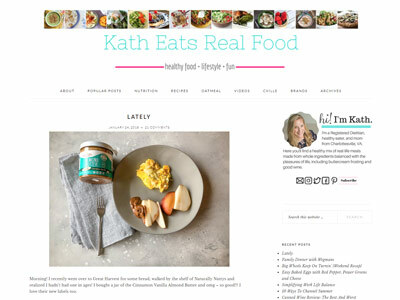 Kath Eats Real Food is a lifestyle and healthy food blog which gives wholesome, balanced and nutritious recipe ideas to it's readers. 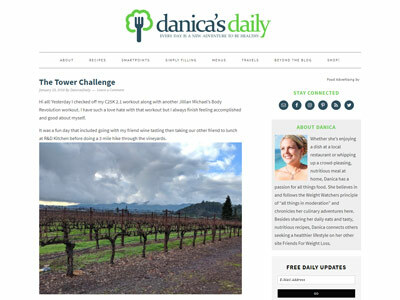 Danica's Daily is a source of inspiration to be healthy each and every day, through helpful and practical recipes shared on the site. 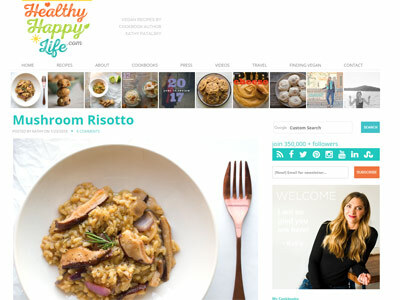 Jeanette's Healthy Living is a collection of recipes designed to be healthy and full or flavour, but also providing goodness to those on special diets or in need of strength. 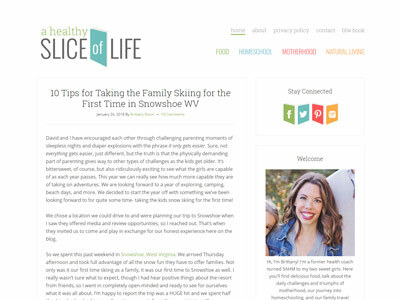 A Healthy Slice of Life is a site about parenting, food and natural living. The author Brittany has also released a weaning book for her audience. 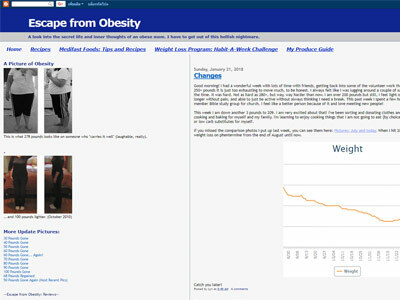 Body Recomposition covers article topics such as fat loss, muscle gain, training, and nutrition. 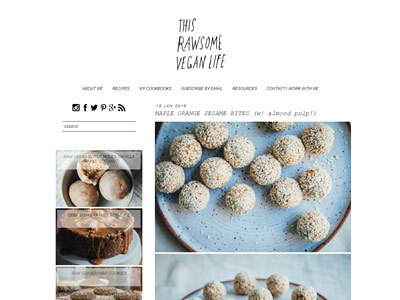 This Rawsome Vegan Life guides the readers through a vegan lifestyle in the form of easy to follow recipes, the author also has a range of vegan cookbooks. Dan John is a famous former Olympian know for both his lift and throwing, the site shares Dan's expertise on various aspects of training. 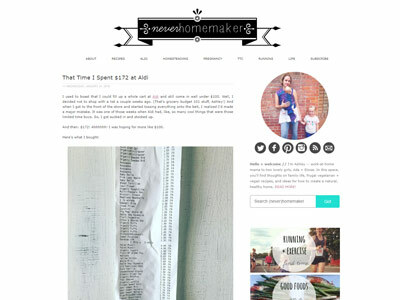 Never Homemaker shares ideas on how to create a happy, healthy and natural home through lifestyle advice and the sharing of vegetarian and vegan recipes. 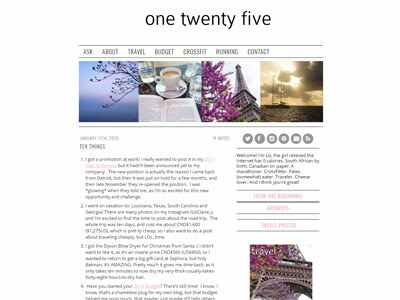 One Twenty Five is a personal blog which covers the adventures of Liz, as she educates and shares her experiences of running, crossfit, food, and diet. 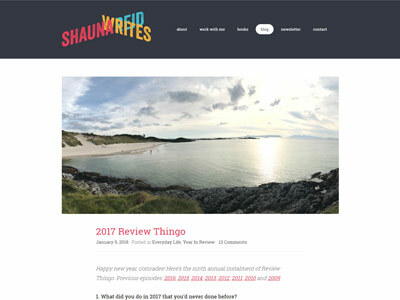 ShaunaReid.com is a personal blog of the author as she shares her life experiences, she has also released a couple of books on dieting and running, suitable for all. 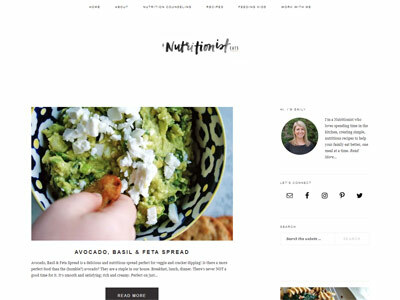 A Nutritionist Eats focuses on helping you to create simple and nutritious, family friendly recipes, the founder, Emily, also offers private nutrition counselling. 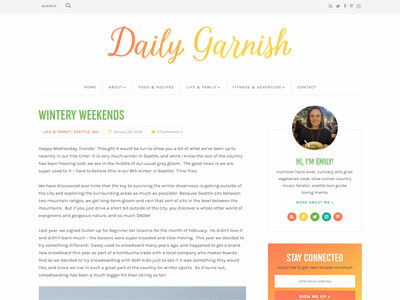 Daily Garnish provides very honest and practical, health and lifestyle articles covering a variety of themes. 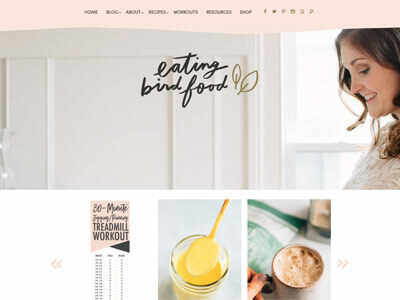 Balanced Bites is a resource creation to provide tools that allow people to have better nutrition, a healthier mindset and more control in their lives. Escape from Obesity covers a tale of weight loss and the lessons learnt, helping the readers to understand various recipes and weight loss programme habits. 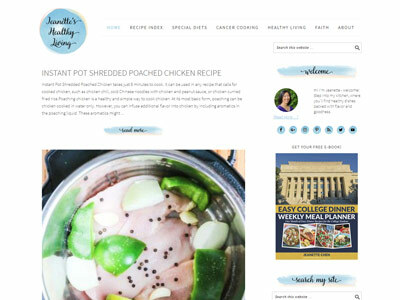 Gretchen, In-Between is a very personal blog following Gretchen's journey through life, whilst discussing weight issues and introducing new recipes. 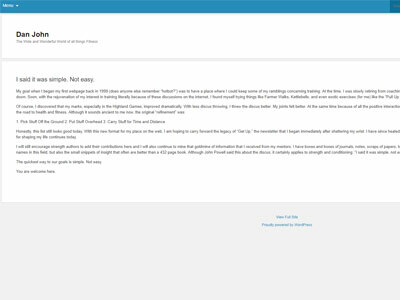 Tara Stiles is a yoga training manual which covers all aspects of yoga, movement and healthy eating through a mixture of articles, videos, and books. Curvy Yoga is a yoga practise site with the intention of helping people feeling good about themselves both inside and out. 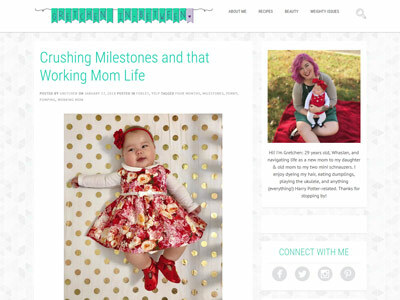 Stephanie shares all aspects of her journey into health including her recent pregnancy updates. Did you know? 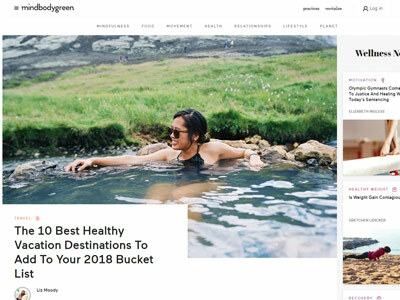 Search engine traffic is the primary source of visitors to most of the health blogs above. Click here to learn more about our SEO training and case studies to get results for your own website.